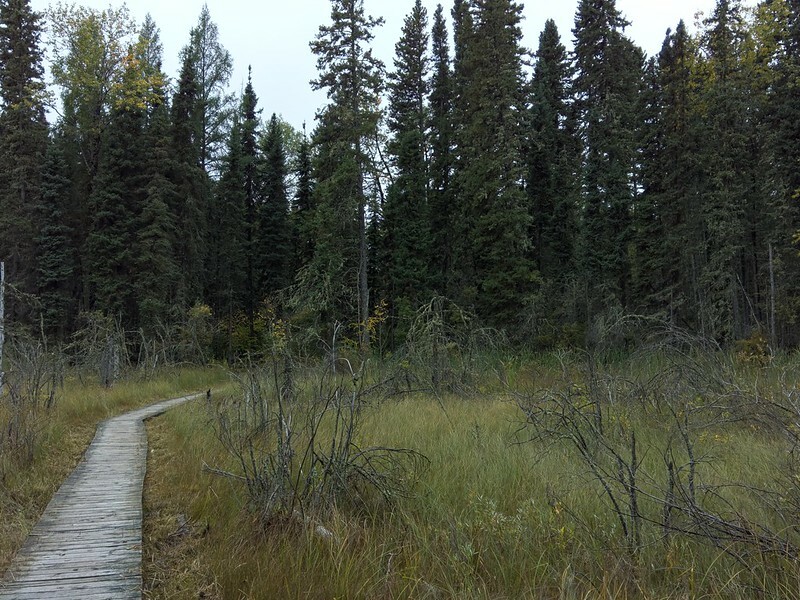 Prince Albert National Park: Simultaneously disappointing and amazing! When I announced that I was going to Saskatchewan, more than one friend assumed that I would chose to visit Regina – mainly because Regina is about the only legit rhyme for another English word. 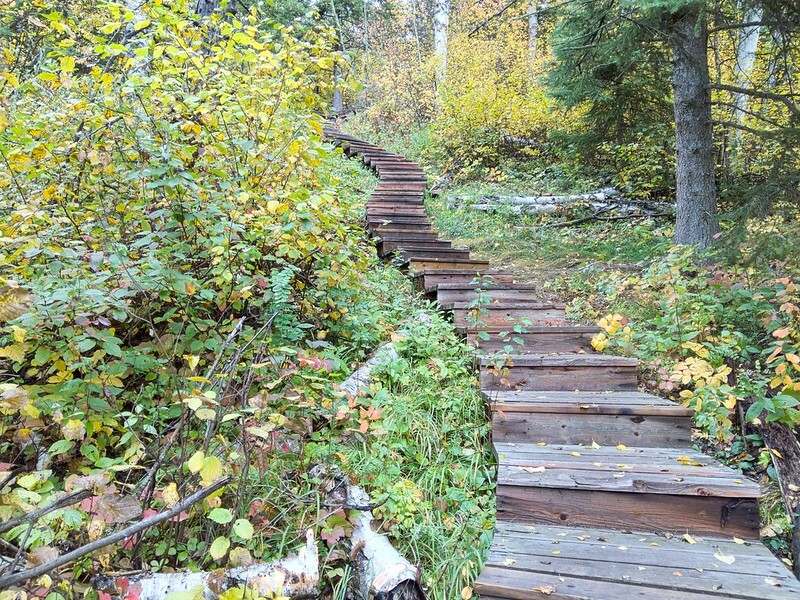 So, while these friends were right to go to the gutter, they forgot about Prince Albert National Park, which must be the most misleading name for a national park, ever. In my imagination, there would be PAs running amok wherever I turned – and I thought it would be amazing to capture a PA in front of a sign that said “Prince Albert National Park” – unfortunately I do not have a PA, nor do I know anybody who has one, who I would be willing to ask to join me in PANP to pose for said picture. Thus, my entry into PANP lacked the excitement of my dreams. 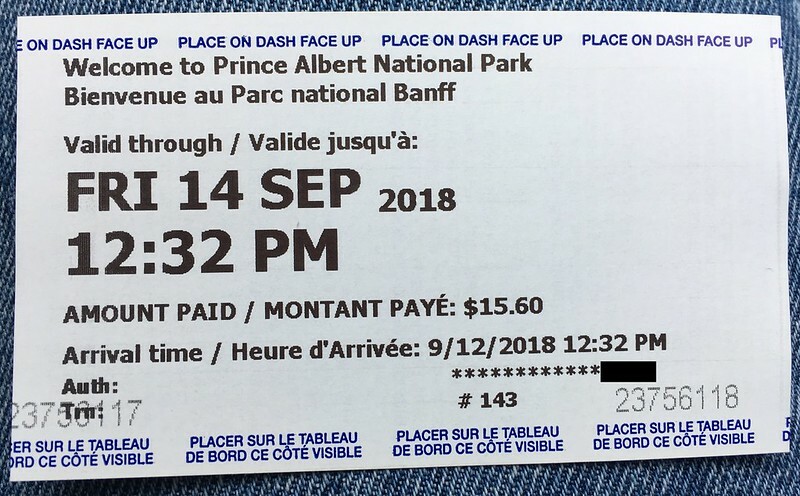 However, I did get a standard English/French bilingual admission ticket to the park, and I must say that the name of the park drifts substantially between English and French – 900ish kilometers and one province, to be exact. While my piercing gaze over the landscape did not detect any PA, it did detect incredibly vivid fall colors: some of the nicest and brightest yellows and reds that I have ever had the pleasure of seeing. Prince Albert National Park might be the most beautiful place that I’ve seen in 2018 (although, given my travels, there is some hearty competition). It was starting to rain semi-seriously my first day in the park – so I hiked about a kilometer at one stop in order to climb a tower to enjoy a beautiful vista, then another tower to enjoy another beautiful vista, before landing at the Hawood Inn, in Waskesiu Lake, a town in the park, with hotels, shops, and services. There were also (expensive) restaurants – so I was doubly happy to have brought some basic foods from a Safeway along the way. 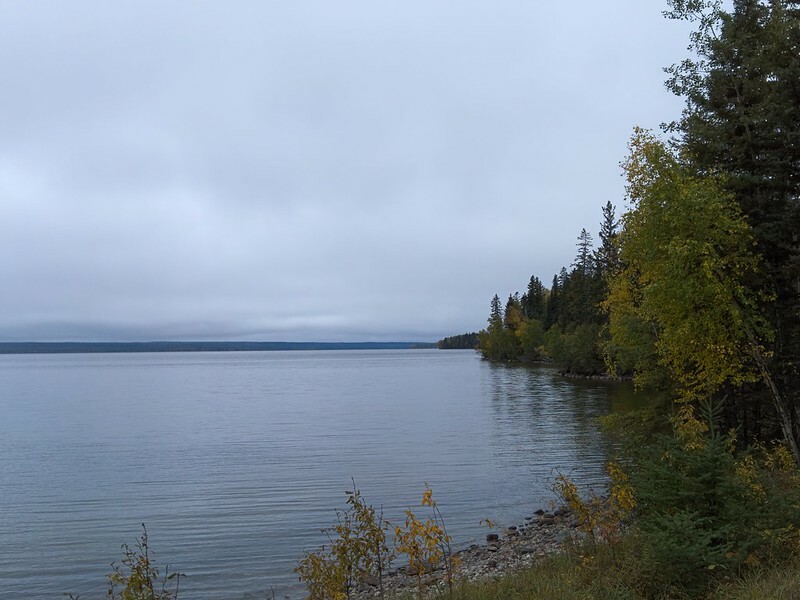 After checking in and being upgraded (my first room had an air conditioning unit whose parts were disassembled), I wandered around Waskesiu Lake for an hour or two. As I was there in the shoulder season – by about two weeks and on weekdays – the town was dead. Some of the shops were already closed for the season and those that were open were selling summer clothing at substantial discounts. What I really, really, wanted was stuff that said Prince Albert – yet there was only one men’s t-shirt that said this, and it was sold by the Parks Canada gift shop. I was completely blown away by the fact that the name and its double/triple meanings were not exploited at all. I desperately wanted to buy lots of things exploiting the awesome name, so to come away with a single t-shirt and a deck of cards was disappointing, although a blessing for my bank account. 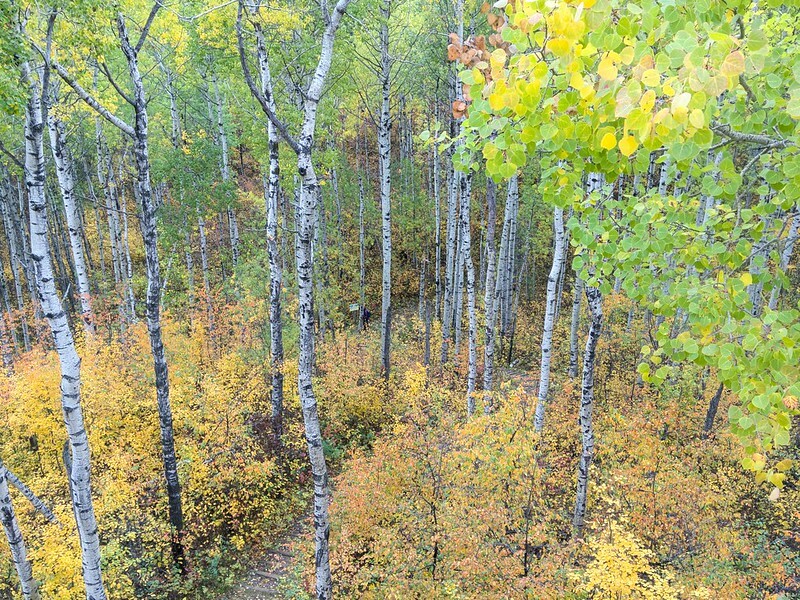 All of that aside, I hiked a total of about 8 kilometers on Thursday – my one full day for the park. One day was not enough time. I should have extended my time in the park by another full day, especially given how disappointing Saskatoon ended up being. 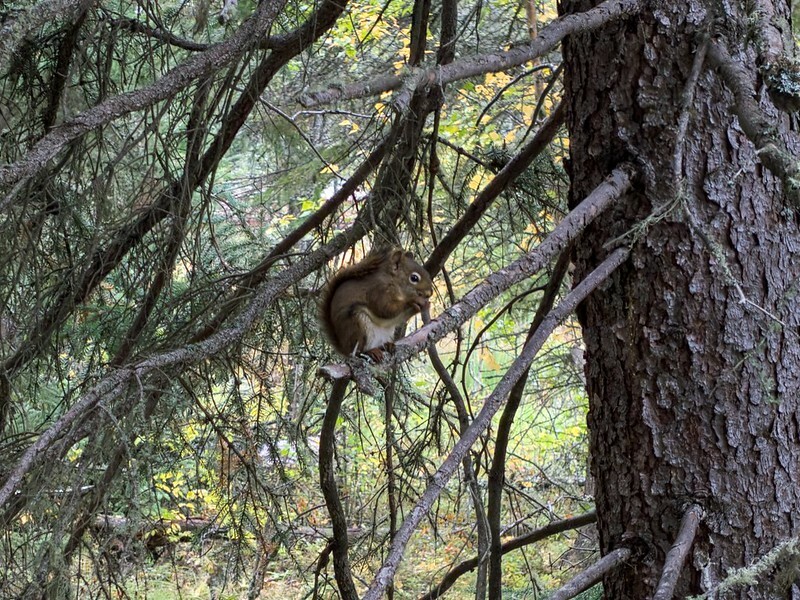 My first highlight Thursday was watching a wolf cross the road about 500 meters ahead of me – I rode that emotional high as I drove down a dirt road to the Grey Owl trailhead. The road itself was fine the first 10km, at which point it became a little less packed and was bordering muddy at points. This kind of driving is not my favorite. 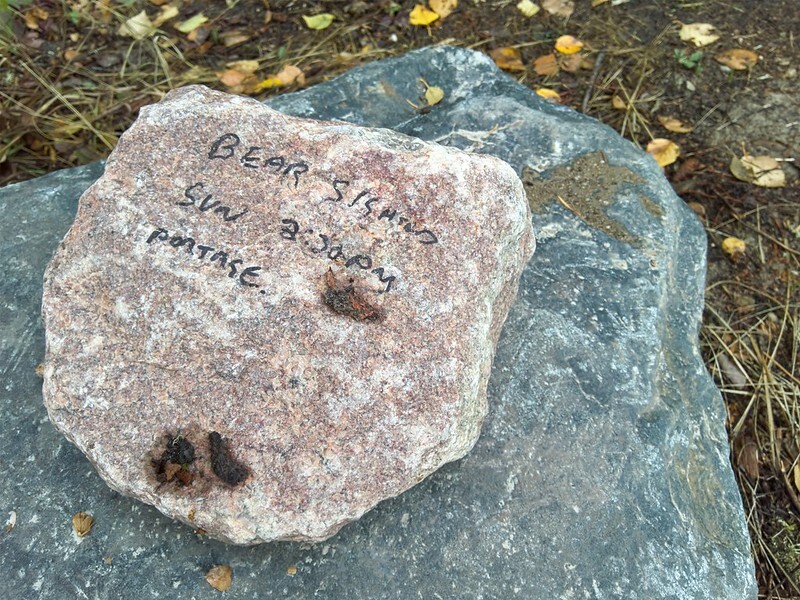 When I got to the trailhead, I walked briefly down the path, but between the rain that was threatening to turn the road into mud, signs warning of bears sighted in the area, and a rock with a warning that a bear had been seen Sunday at 2:30 (albeit, the specific Sunday was unspecified), I headed back toward civilization, but not before stopping at a few places to hike and enjoy Prince Albert National Park. 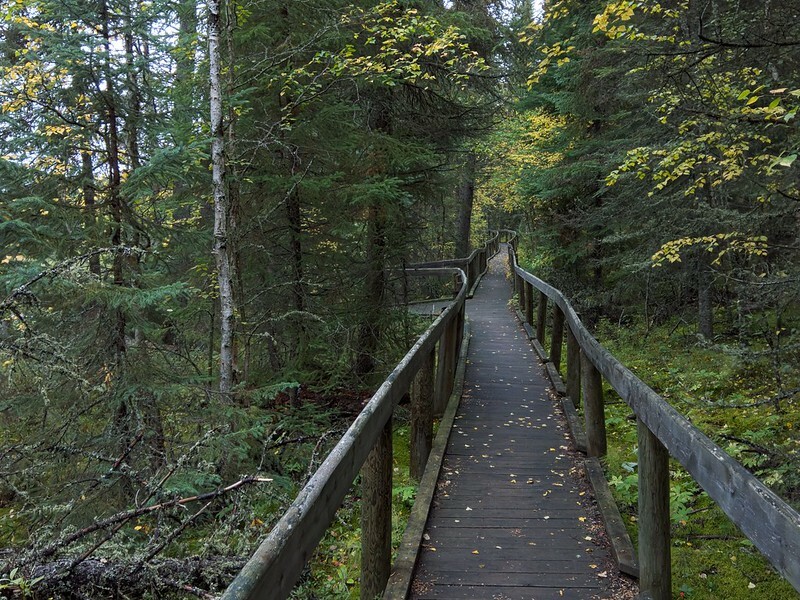 The Narrows Peninsula Trail was a lovely 3 kilometer loop that offered excellent views of Waskesiu Lake – really, trying to apply words to the scenery is pointless as English offers up only a small number of words to cover such a range of beauty. From there, I headed south, stopping at the Point View – with another nice view on Waskesiu Lake. 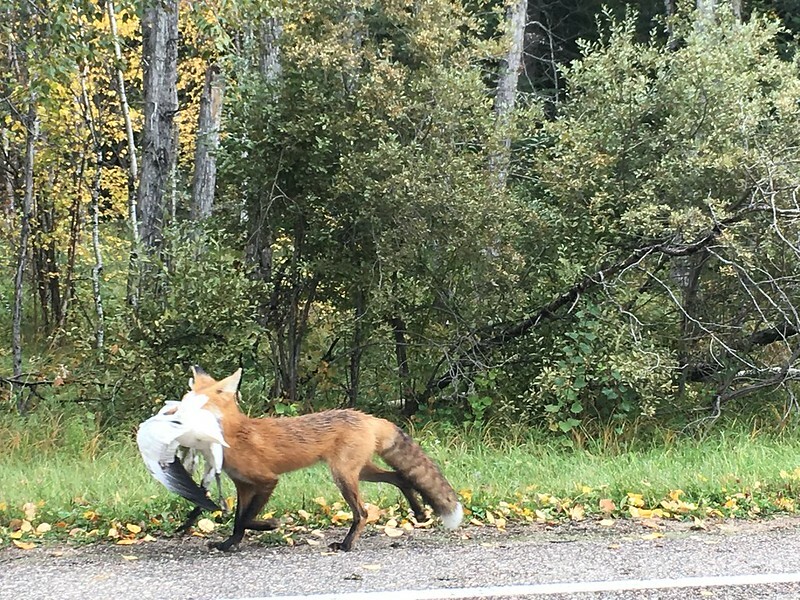 After that, I passed a hunter on the road: what can I say about this hipster, other than the fact that (s)he appears to be eating free-range organic fowl, thus meaning (s)he fits into Prenzlauer Berg perfectly. 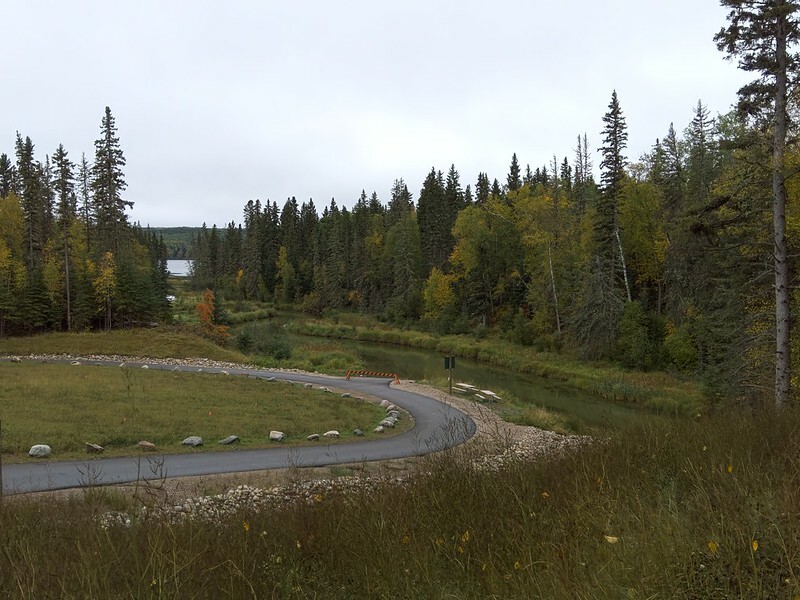 The next hike was the Waskesiu River Trail, a nice 2.5km wander around the river flowing from Waskesiu Lake. 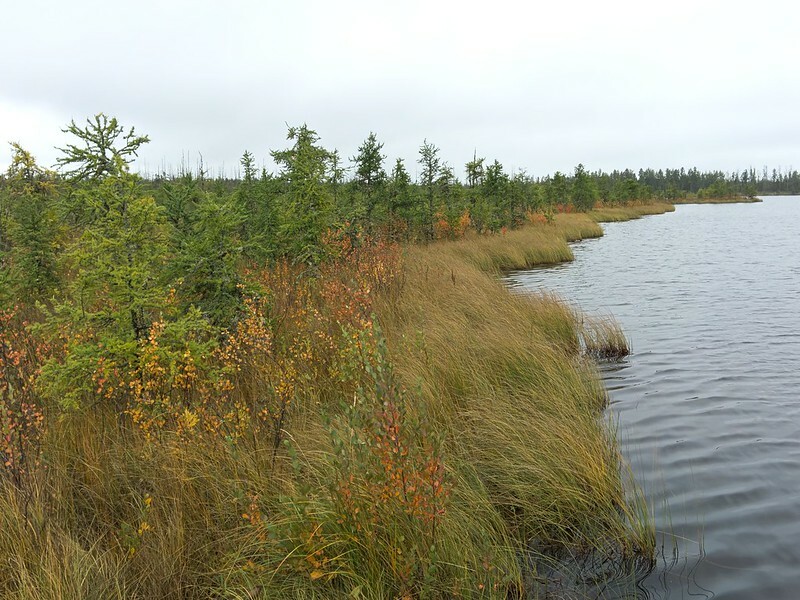 I concluded with the Boundary Bog Trail, a short 2km through a bog. At that point, I was toast – but I returned to town and took another walk around town, this time stopping in the one shop that had been closed on Wednesday but was open on Thursday. 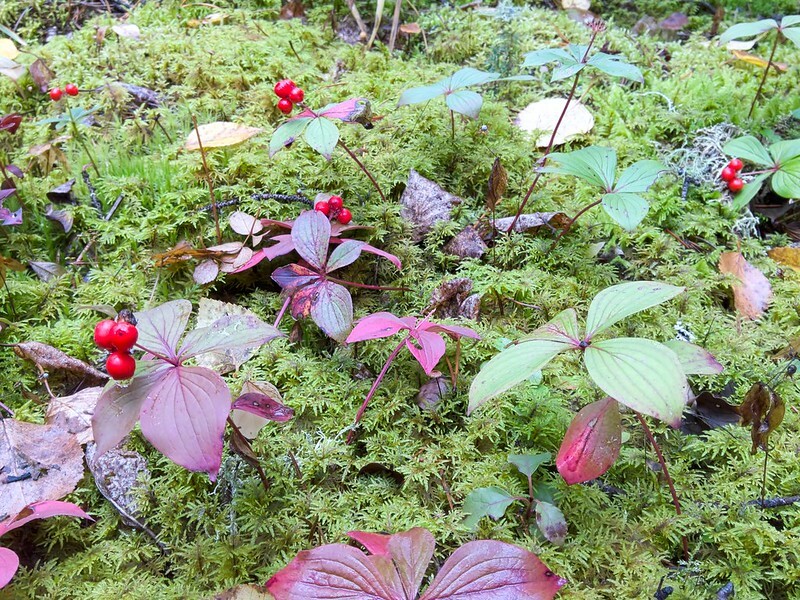 In retrospect, I wish that I had one more day in Prince Albert National Park – the scenery was outstanding. I would happily have lost a day from Saskatoon in favor of PANP. Not only that, but I would go back to PANP: it’s that good. 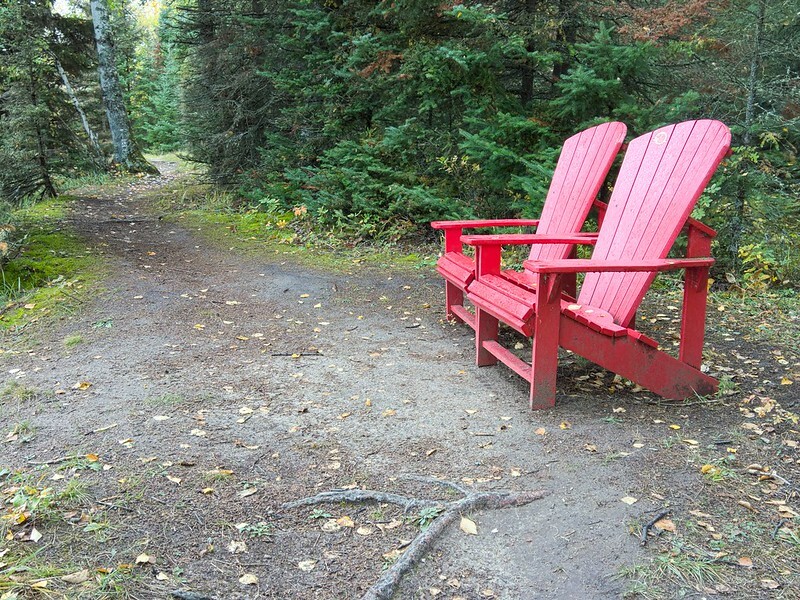 My trip timing was perfect: Canadian kids start school at the beginning of September and during the week the park is empty, thus giving you lots of space and the ability to get away from it all. 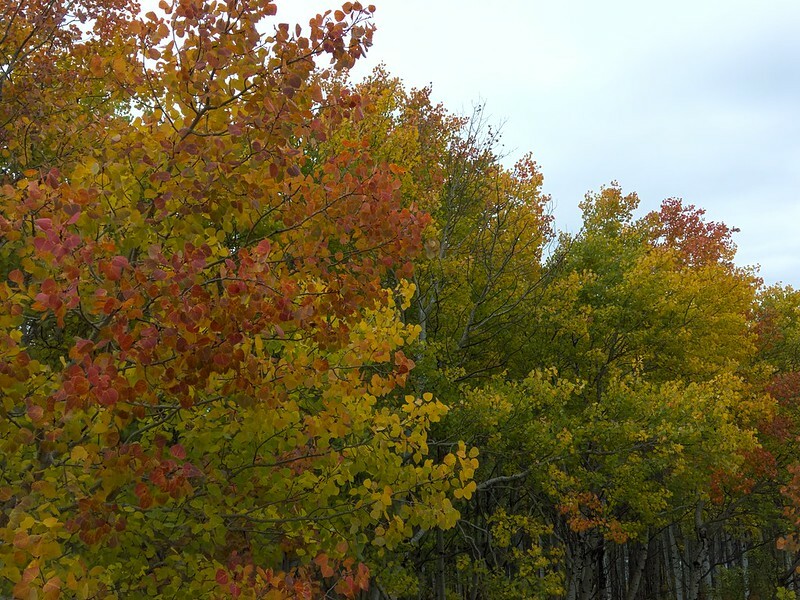 The fall colors (at least this year) were in full force – lending another layer of beauty that just cannot be beat. The only thing I would have done differently is that I would have packed slightly warmer clothing – my attire Thursday consisted of a thin woolen undershirt, a standard t-shirt, and my normal weight woolen hoodie. While this was fine, it was, perhaps, a smidge too light. Thursday’s weather was running about 6°C and misty – but it never actually rained heavily. Had it snowed (which was in the forecast), I suspect I would not have enjoyed my day nearly so much. 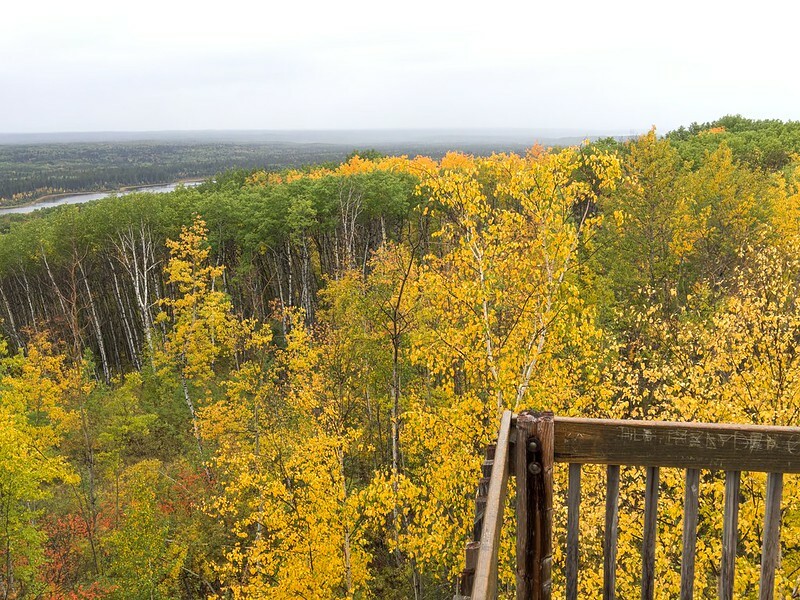 2 comments to Prince Albert National Park: Simultaneously disappointing and amazing! This looks like a breathtakingly beautiful park. 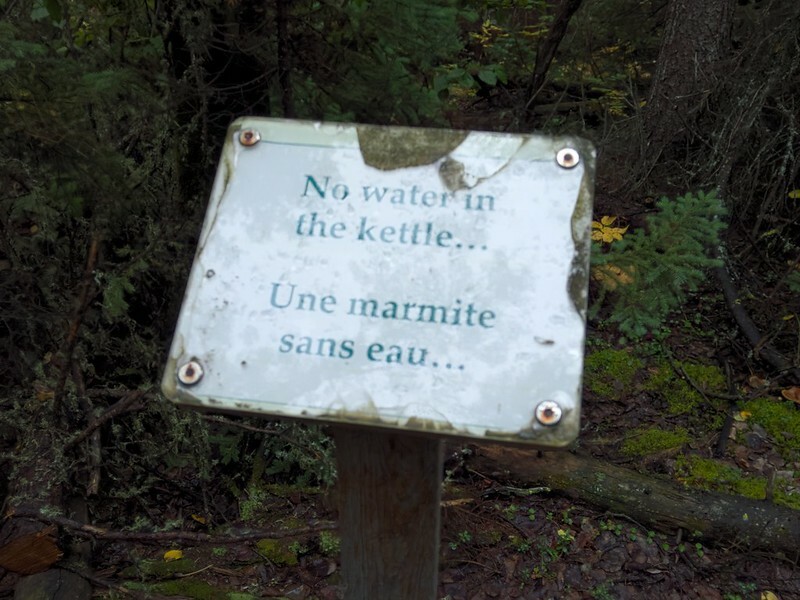 I’d love to check it out someday if we ever make it to Canada. I hope you can make it — although, just to warn you, crossing much of Saskatchewan is about as exciting as driving across Nebraska or South Dakota, but much, much, longer.